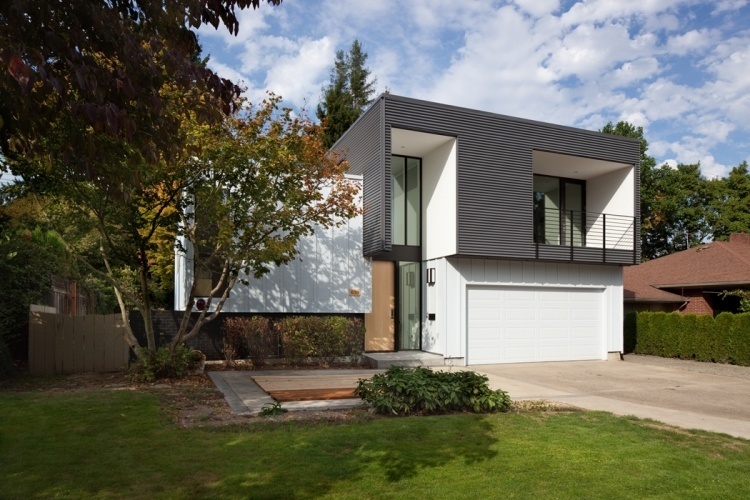 Jacobs Heating is proud to be a participating sponsor of the American Institute of Architects–Portland’s “DESIGN MATTERS: A tour of exceptional Portland homes” to be held on Saturday, October 1, 2011. On the tour, please pay special attention to the “Leedy” home and Jacobs’ installation of a state-of-the-art ultra-high efficiency Daikin ductless heat pump system in combination with a traditional furnace/air conditioner zoned forced air system. Click here to learn more about the tour and all events surrounding the Portland Architecture and Design Festival 2011. After years of waiting for the perfect renovation project in the SE Portland Garthwick neighborhood, the homeowners finally purchased a 1960’s split level in fall 2010. The remodel added a master-suite level, increased the great room area and volume, and re-fashioned the exterior into a modern home ready for the next century. Major components from the owner’s original house were integrated into the new design, saving valuable time and money for the project while transforming it into a dream home.